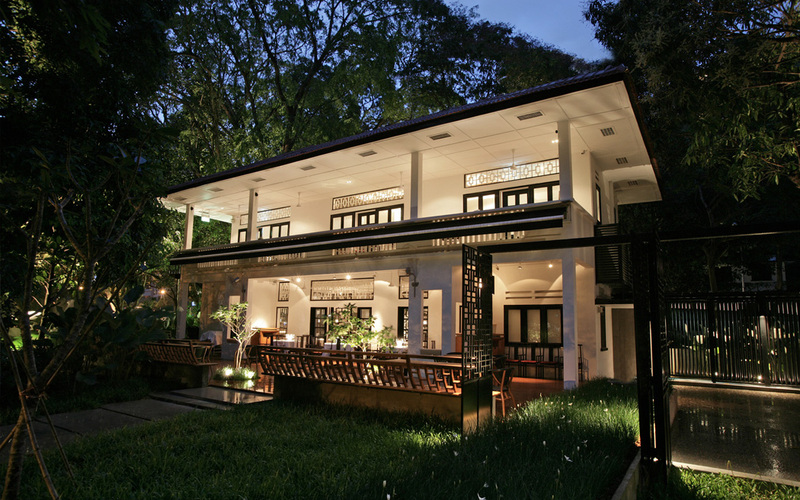 Housed in a stylish two-storey black and white colonial bungalow within the luscious greenery of Rochester Park, Min Jiang at One-North is a unique location for an Oriental chic wedding. The modern chinoiserie interiors complete with a spacious alfresco terrace provides for a charming ambience and memorable dining experience. This restaurant also serves Sichuan and Cantonese cuisine like Min Jiang, with an added house speciality of authentic wood-fired Beijing Duck. The award winning restaurant can accommodate 10 tables of 10 persons on the ground floor and 5 tables of 10 persons on the second floor.